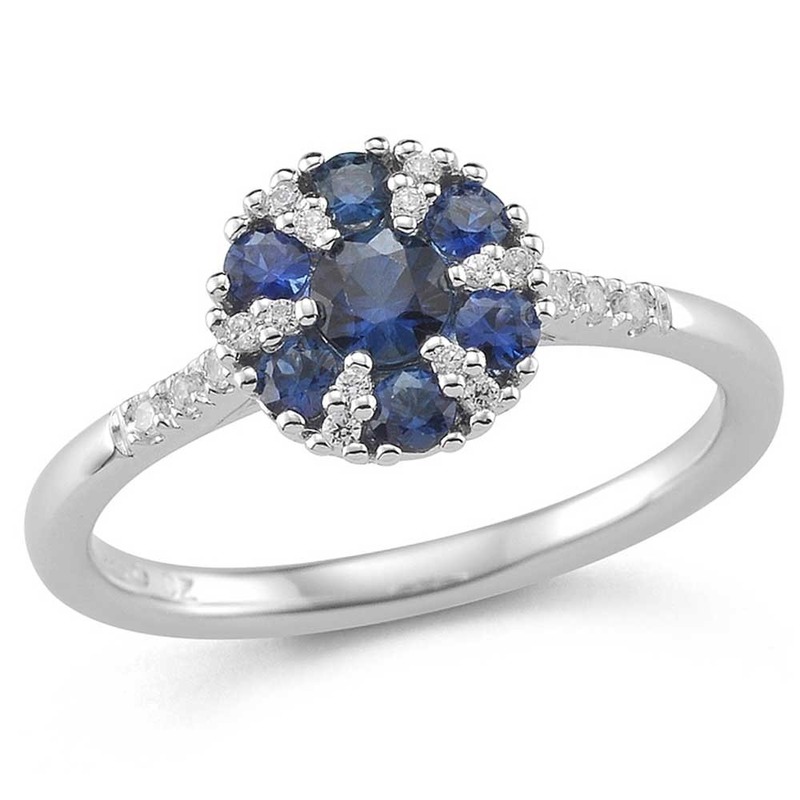 A beautiful sapphire diamond cluster ring that is sure to bring a stunning sparkle to your ring finger. The attractive design features 7 sapphires, paired with 12 radiant diamonds in a floral cluster design. 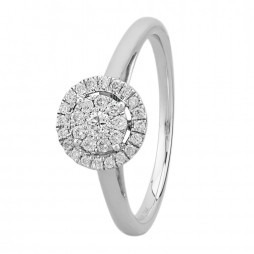 The smooth 9ct white gold band is set with 6 diamonds for an extra glamorous finish.